In 2016 году Aerofuels Magadan, LLC continues a successful consistent work on implementation of the long-term program for development of the jet kero refueling system in the airport Sokol (the city of Magadan). Thus, in May this year the company has started supplying their own product to the airport to provide regular air lines refueling on the basis of the optimal and competitive prices, being one of the significant conditions for the new Russian air carriers and international transit air lines attraction. Aerofuels Magadan, LLC is a part of Aerofuels refueling complexes network (24 TZK); they have got their own refueling facilities and highly-skilled staff. On June 01st, 2015, the company started aviation fuel supply in Sokol airport on the basis of all required state permits and certificates. Besides, in 2015 Aerofuels Magadan and the Magadan region governmental authorities signed an infrastructure investments agreement, within which the Group of Companies Aerofuels started implementation of a three-year program of the airport refueling complex updating, including administrative buildings and constructions, and storage and refueling facilities. Like in other airports where Aerofuels TZK are operating, the customers are guaranteed there to have refueling with a high-quality jet kero certified and passed the required laboratory tests and inspection performed using equipment conforming to all applicable standards. In early May this year in Perm airport IATA Fuel Quality Pool (IFQP) held fuel quality inspection aiming at assessment of the current status in fuel equipment serviceability, as well as procedures of aviation fuels supply and refueling in the airport. Based on the results of IATA specialists inspection the refueling complex (TZK) Aerofuels-Perm (a member of Aerofuels group) confirmed the highest status of fuel operations safety rate: Green. The report pointed out that fuel facilities and refueling equipment having been upgraded for the last few years made it possible to ensure an appropriate level of safety. The important positive factor found out by the inspection is actual usage of absolutely new laboratory equipment for the aviation fuels quality control, which guarantees fuel conformance to the requirements of the Russian and international standards and regulations. One of the main targets of the inspection was compliance with regulations of the aviation lines, members of IFQP, requiring a strict control of the refueling complexes. 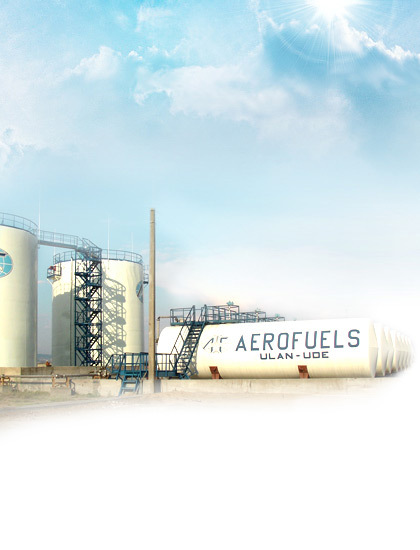 Aerofuels Perms refueling complex is a part of a network consisting of more than twenty TZK owned by the Group of Companies Aerofuels. It is the alternative TZK operating in the international airport of Perm and it has been working successfully for 15 years already in the competitive environment. Aerofuels Perm offers the whole range of services in jet kero loading, storage and quality control, and in aircraft refueling in Perm. Attractive price terms and high-level quality of refueling enables TZK Aerofuels Perm to serve flights of the leading Russian and international air carriers. In December last year reconstruction of Besovets, the joint civil and military airport, located near Karelia capital, Petrozavodsk was completed. Taxiways for airplanes, airport apron and aircrafts parking positions were renewed, and the emergency and rescue centre, water draining system and treatment facilities were constructed at the expense of the Federal Target Program «Development of the transport system of Russia». The new airport apron makes it possible to serve and house 4 civil airplanes of class C, for example, Boeing 737, and one aircraft of class Е, for example, Aerobus А321. Generally in the result of the reconstruction made, the airport will be able to serve airplanes weighing up to 160 tons, which will give a new life to the air service in Karelia. Soon after works completion all required certificates and permits confirming the airport readiness for domestic and international passenger flights servicing were received. In 2016 the airport development will continue, and up to the end of 2017 a new air-terminal complex of 3,5 thousand square meters total area is planned to be built on its territory. Comfortable waiting rooms, several pre-flight registration counters, baggage carousels, cafes and many other premises necessary for the international airport adequate operation will be located there. On February 6-7 the XI annual sports festival “Civil Aviation Day 2016” took place at the Aquarium sport arena. Representatives of air lines, airports, aircraft factories, research institutes and design bureaus of Russia and the CIS countries gathered in Moscow for the eleventh time in order to find out the strongest sport teams among airline companies. As usual the Organizing Committee offered the guests and participants a versatile and busy program aiming at promotion of healthy lifestyle, development of corporative sport and strengthening of human and business relations between the aviation industry members. Besides competitions, the festive air at the stadium was created by the Sochi Olympic Games mascots and the cheerleading squad Hollywood. The famous football commentators Nobel Arustamyan and Dmitry Derunets commented and held competitions and medal ceremony. In 2016 the Group of Companies Aerofuels plans to continue its refueling complexes (TZK) re-equipment in the Russian airports. As per the preliminary estimation the Group of Companies investments in the new equipment in the current year will be kept in 2014 – 2015 level, and in some positions they will exceed last years figures. - upgrading and re-equipment of two aviation fuels depots. Aerofuels plans on TZK development in Russia, first of all, aim at formation of healthy competition environment in the Russian airports and achievement of the required level of flights safety at the expense of airplanes refueling service rendered to the airlines to satisfy the highest requirements, which, undoubtedly, means jet fuel quality, conditions of its transportation and storage, and equipment for into-plane refueling. As Vladimir Spiridonov, Aerofuels Director General, said “even last year due to the well-known events and circumstances the tendency to reduce international and at the same time to increase domestic traffic was revealed to the fullest extent. In this conditions we consider investments in the existing enterprises upgrading quite reasonable as it is this work aimed not only at support of the current situation but also meant for future, which will become the basis for the company position strengthening in this branch, for employment growth in the regions and the Russian air carriers support”. In January this year the Group of Companies Aerofuels subsidiary started refueling the Russian and international airlines flights in the airport of Kol’tsovo (Yekaterinburg). To make into-plane refueling Aerofuels uses its own jet fuel and modern certified refuellers. At the same time the customers are guaranteed advantageous price conditions and a fast high-quality service in compliance with all Russian and international standards and requirements. Refueling launching in the airport of Kol’tsovo is an important event not only for the group of companies Aerofuels, but also for the whole Ural region and its capital – the city of Yekaterinburg: upon the alternative refuelling service starting the new conditions for jet fuel reduction in the airport and attraction of additional volumes of refueling in Kol’tsovo have appeared. The healthy competition in the jet fuel market surely satisfies interests of business and the region residents, and will have a positive effect on the development of one of the largest transport hubs of Russia. Aerofuels takes part in the Joy of Old Age Fund action. In December 2015 our company took part in the New-Year charitable action which the fund of disabled and old people aid called The Joy of Old Age Fund arranges and holds every year. The fund has been implementing different programs aimed at improvement of life in the nursing homes for the aged for many years already. The Fund goal is to let people living in disabled persons’ homes, veterans and aged people feel that they are not alone, and to attract other people to this noble work. Aerofuels employees collected a whole car with New-Year gifts and the company management gave money to purchase equipment for sick and disabled persons care. On November 11th the Russian Federation Government signed the Order №2285-р on opening of Kurgan airport for international flight operations and establishment of air passenger multi-way border checkpoint there. As Trans-Urals Head, Alexey Kokorin remarked, that event could serve as one more positive example of a private and state partnership within the frameworks of the agreement between the Kurgan region Administration and Group of Companies Aerofuels, which, undoubtedly, will increase the investment attractiveness of the region. With the Order introduction into operation Kurgan airport will become the 72nd international airport on the territory of Russia. The project investor, Group of Companies Aerofuels, in summer 2016 plans to complete equipping the airport in compliance with the international requirements, and, probably, before the end of next year the Trans-Urals inhabitants and guests will be able to fly abroad from Kurgan. From October 21st Aerofuels Magadan reduces the into-plane refueling service cost in the airport up to 1900 rubles per ton. Today that is the most competitive level of this service cost in the region. Consequently, jet kero price is expected to be reduced for the airlines operating air flights to Sokol (Magadan) airport, which will reduce aviation fuel expenses and will support air carriers. The Magadan Region administration and Aerofuels Magadan company signed an agreement on infrastructure investments into the airport administrative buildings and constructions, storage and refueling facilities in Sokol airport. Within the agreement frameworks the company will be able to arrange a wide range of improvements in the airport in the medium term, thus providing the airport with the modern refueling equipment. The planned investments amount makes more than 200 million rubles. Aerofuels Magadan LLC is a part of Aerofuels refueling complexes network, it possesses its own modern refueling equipment and qualified personnel. TZK obtains all necessary state permits and certificates on aviation fuel supply. Like in all other airports where Aerofuels TZK network is operating, the customers here will surely get refueling with high quality certified jet kero that has passed all the required laboratory tests and inspections using the equipment satisfying all standards. The Group of Companies Aerofuels completed the refueling complex reconstruction in Kurgan airport. The works were performed during 2014 – 2015 and their cost makes 120 million rubles. TZK Aerofuels Kurgan is a part of the network consisting of 22 refueling complexes of Aerofuels. It contains a complex of administration buildings and constructions, the tank farm, refuelers, their own railroad sidetrack and the loading rack. The equipment used by Aerofuels Kurgan for their customers refueling is certified and meets all necessary applicable standards and requirements providing a high level of jet kero filling, storage and further supply to a refueler. Congratulations to our colleagues from Aerofuels Ufa! The Group of Companies Aerofuels staff would like to congratulate Eleonora Teplova and Vladimir Ulyanov! This August highly professional and conscientious work of Aerofuels Ufa company staff employees was appreciated by the Federal Agency of Air Transport of the Russian Federation Ministry of Transport having granted Certificates of Merit and Letters of Acknowledgement. We sincerely wish our colleagues success in their work and all the best! Group of Companies Aerofuels traditionally pays much attention to aviation operations safety and sets a task to guarantee high quality of aviation fuels in all Aerofuels TZK on the territory of the Russian Federation. The complex of measures aiming at aviation fuel and airlines customers’ refueling services quality control improvement includes modern quality control laboratories which play a special role as the most important component and essential condition of this goal achievement. At present Aerofuels consists of a network containing 12 laboratories located in the airports all over the country – from Pskov to Petropavlovsk-Kamchatsky, where a full set of works to ensure fuel TC-1, PT and special fluid quality control is being carried out. All laboratories are regularly inspected and obtain the required state certificates. In spite of a difficult situation in the world economics the company plans to modernize and expand the network of the quality control laboratories fitted with the most up-to-date equipment in the Russian Federation airports where Aerofuels Group of Companies refueling complexes are in operation. Thus, it is planned to have three laboratories more constructed and put into operation in the airports of Nizhny Novgorod, Izhevsk and Kurgan in 2015 - 2016. According to preliminary estimates the volume of investments will make 45 million rubles. For twenty years Aerofuels has risen from the ranks of a small company, just starting to make the company known in the airline companies fuel supply market in the Russian Federation and abroad, to the solid team of professionals working in a highly competitive market and offering a vast range of modern advanced services and solutions in the field of fuel supply of airline operations all over the world. Due to the effective teamwork with the partners: customers, the Russian and international airlines, and suppliers, the company has accumulated a unique experience, and now it ranks among the leading companies with the modern production and engineering base, the unique business solutions and qualified personnel. Based on the effective management and successive implementation of the newest technologies Aerofuels is developing successfully and makes long-term plans upon business expansion and new directions of development. A particular attention is paid to the modern world achievements in the field of air crafts refuel study and implementation in the company own TZK network. For many years Aerofuels has been introducing high international standards in jet refueling into the domestic market (covering large and small regional airports), having become one of the main Russian new technologies investors. Refueling complex TZK Irkutsk prolonged overall Certificates of Conformity on jet kero acceptance, storage, unload and aircrafts refueling in Irkutsk international airport. Besides, aviation fuels quality control laboratory Certificate was renewed, too. This year TZK Irkutsk LLC has passed IATA fuel quality control inspection (IFQP) which main goal is to evaluate status of the fuel equipment and fuel supply procedures maintaining in the international standards level. The refueling complex was granted the highest status (Green) of the fuel operations safety level. TZK Irkutsk is included into the network of 22 refueling complexes owned by Aerofuels Group. It is one of the first alternative TZK in Russia having been launched in 2002, and has been operating for more than 13 years in compliance with up-to-date Russian and international standards and requirements. The complex consists of their own aviation fuels quality control laboratory and modern aerodrome refuelers fleet. At present the company is a good example of the alternative complex successful operation in one of the largest regional international airports of the Russian Federation. Attractive price conditions and high quality of refueling service allows TZK Irkutsk to serve flights of the leading Russian and international airlines.